From time to time I like to take on the challenge of replacing a dummy that people are familiar with, to see if any one notices. If they don't, then I consider the challenge is met. 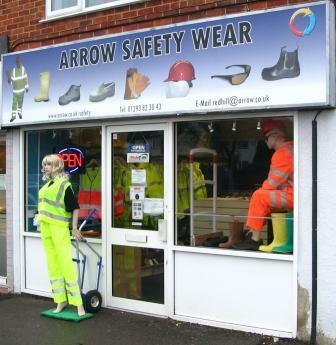 This was the case with arrow safety wear, and they were quite happy for me to replace their window mannequin for the day.